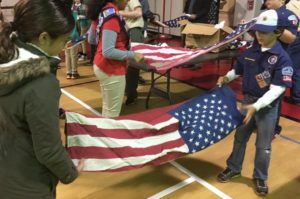 Flag ceremonies help teach scouts how to handle the American flag with respect. Pack 1344 has participated in many flag ceremonies. 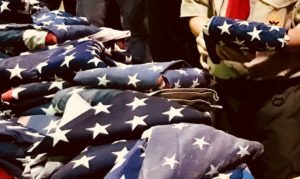 The scouts perform a flag ceremony at the beginning and end of pack meetings, during the opening ceremony of the Burke Fire & Rescue Department open house, and have also participated in flag retirement ceremonies.